There is no doubt about the seriousness of these lifesavers, photographed in 1963. As they prepare for a competitive display of reel and line rescue, watching crowds keep well back on the beach. 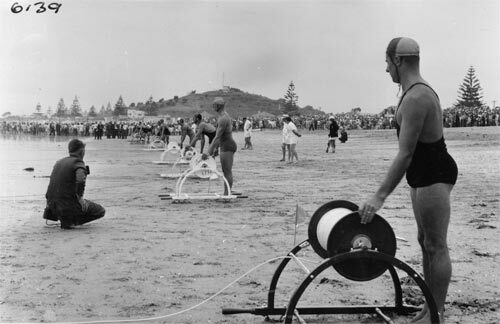 These reel-men are ready to haul in lines attached to a belt-man, who carries out the rescue.